Is Buying a Rental Property with Negative Cash Flow Ever OK? Cash flow—it’s a term real estate investors eat, sleep, and live for. Maybe it’s used in reference to bigger sums of cash flow, as in flipping, or more often it’s used in terms of the monthly cash flow that a rental property does (or doesn’t) bring in. Either way, cash needs to be flowing in for a real estate investment to be a win. The first question every investor should ask when they are shopping for an investment rental property is whether or not it will cash flow. The second question every investor should ask, should they find out a property isn’t expected to cash flow, is if there’s no cash flow, where will my returns come from? I’m going to offer a couple scenarios where negative cash flow each month on a rental property may still lead to an investing win down the road. I suppose it would help to make sure you know how to calculate cash flow in the first place. You need to know the cash flow numbers that you can expect. The monthly cash flow is determined by the expenses and the income on a rental property. If the income you receive from a property is greater than what you have to pay in expenses for the property, you will pocket cash every month. This is referred to as “positive cash flow.” If the expenses equate to an amount larger than the income you are collecting, however, then you’re going to be in a “negative cash flow” situation. If you want a simple way of running some basic cash flow equations to help you determine if the outlook of the cash flow is projected to be positive or negative, check out Rental Property Numbers So Easy You Can Calculate Them on a Napkin. You’ll see in there a discussion of cap rate and cash-on-cash return. You don’t need to focus too heavily on the details of those numbers quite yet, but as you progress, you’ll want to get more savvy on both of them. They should be critical numbers in your analyses. But for now, you’re mainly looking at whether they are positive or negative. But what if the number that shows up is telling you that you can expect a negative monthly cash flow on the property, which specifically means you will be paying out of pocket every month on your investment? Is there ever a time that this could still lead to a profitable rental property? The first thing to know is that most properties will yield negative monthly cash flow. True story! Why is this? Well, that’s just how the world works. Believe it or not, most properties actually make horrible investments. I’ve heard that upwards of 80 percent of properties are bad investments. To be honest, I believe it. The first consideration you need to look at if you have just calculated negative monthly cash flow is what are my goals and what am I trying to accomplish with an investment? Then how does this negative cash flow situation fit into those? 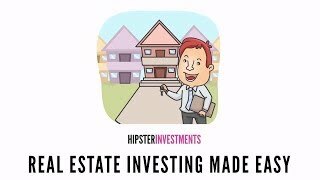 Obviously, the goal with real estate investing is to make a profit. I really can’t see any other reason why you’d get into investing if your goal isn’t to receive financial gain somehow. So then what do we look at once we’ve discovered we shouldn’t be expecting a profit with monthly cash flow? At first glance, these two may seem like they are the same thing. In some cases, they are. But in the way that I am referring to them, they mean two different things. Most everyone is familiar with this term and what it means. It’s often the first thing people are taught when it comes to profit with real estate. Appreciation is when the value of a property increases over time due to various things like increased, demand, weakened supply, or inflation or interest rate changes. Historically, real estate values tend to increase over time. This is one of the largest benefits to real estate as an asset class and also one of the greatest hedges against inflation. But how strong is appreciation, and how reliable is it? Different cities across the U.S. have had notoriously different appreciation trends over the years. Some markets (e.g. Los Angeles, San Francisco, and New York City) have had incredibly steep gains in appreciation throughout the decades. Some markets have gone the other direction and lost tremendous value over time (e.g. Detroit). Still other markets that have remained fairly stable over time, meaning not a major bout of appreciation but not a major loss either (e.g. Indianapolis or Kansas City). So where you buy a property will have a direct bearing on whether or not you can expect appreciation, and if you can expect it, how much you can expect. Time in the real estate market. Are prices closer to peak prices or are prices low? If you buy properties during a recession, chances for appreciation are much higher. But if you are buying properties when prices are high, closer to peak prices, how much room is there for appreciation on the property? The answer will always vary, but the chances are going to be significantly lower than if you’re in the middle of a crash and real estate is basically on sale. Predictability. Appreciation is hard because it’s incredibly hard to predict. You can look at trends over time, certainly, but the science behind it is not obvious and doesn’t follow a specific formula. So, while the idea that “real estate will increase in value over time” is probably accurate, when exactly will it increase and by how much? And to throw an extra wrench into it, not only is it unpredictable, but it’s certainly not guaranteed either. Paying with a mortgage. Ultimately, if you are going to profit from appreciation, the amount of appreciation a property sees needs to be greater than the sum total expenses over the course of time you hold the property. This includes things like property taxes, insurance, repairs, improvements, etc. But even if people remember to consider all of those expenses, one major expense people tend to forget about is mortgage interest. If you take a mortgage out on the property, you will be paying interest on that mortgage. That is an expense to you. Let me give you an example. You decide to buy a $500,000 property, and you take out a 30-year mortgage with a 5% interest rate on it. You put a 20% down payment on it ($100,000). Over the course of those 30 years, you will pay ~$373,000 in mortgage interest. Your property would need to appreciate to a value of basically $900,000 just to make up for the mortgage interest alone. That’s not including a single other expense. Appreciation can apply in a sense to rents as well. In theory, rents should increase over time, so you may be able to get appreciation not only just on the overall value of the property but also in the rental income you are receiving. Appreciation can absolutely can work—and has worked for millions of investors over the years, but it can also be very dangerous. In addition to calculating how much you would need to get in appreciation so you can have an idea of whether or not it’s even feasible, then you need to also add in how much you are spending each month in negative cash flow to see what those numbers look like and then compare everything. How much loss can you continue to shell out in hopes of reaching later gain? How long can you keep going with that before you’d need to see that appreciation? Again, it’s doable, but it should be done with caution. I can best tackle this one with an example. Despite my notorious history with investing in out-of-state properties, some partners and I just went in together and bought a duplex local to me in Venice Beach. We are currently negative $800/month in cash flow, just with the income versus the mortgage payment. That’s not including additional expenses with repairs and such. And many could argue that we are much closer to peak prices across the board than we are in a crash, so we paid quite a bit of money for this property. So why’d we do it? Well, to be frank, the intention for that duplex is that it’s going to be my long-term home. I’m not moving in right now, but eventually, I will move into one of the units, and that will be my final home. So we plan to hold onto it for longer than the 30-year mortgage term. That is one part of why we are comfortable with it. The other part is that it’s in Venice Beach. Properties in Venice tend to run with very minimal vacancy rates, they can easily be filled with short- or long-term tenants, and the city is exceptionally desirable and continuing to grow. Lastly, Venice is sandwiched between two areas (Santa Monica and Marina del Rey/Playa Vista) that have already grown tremendously. Venice hasn’t done it just yet in the same way they have, so it’s a fair assumption it’s going to be building up soon itself. And then more generally, Los Angeles is a city that doesn’t seem to be losing steam anytime soon (to say the least). While not a single one of these factors is guaranteed, that’s a lot of positivity in terms of the outlook for this property. What it boils down to is the confidence in the long-term gain combined with the uniqueness of the situation. It being my “forever home” will be a massive holding under my belt as the mortgage gets paid down. Is it worth a $800/month loss right now? We seem to think so. Read The Rest On BiggerPockets. Ready to get started investing? 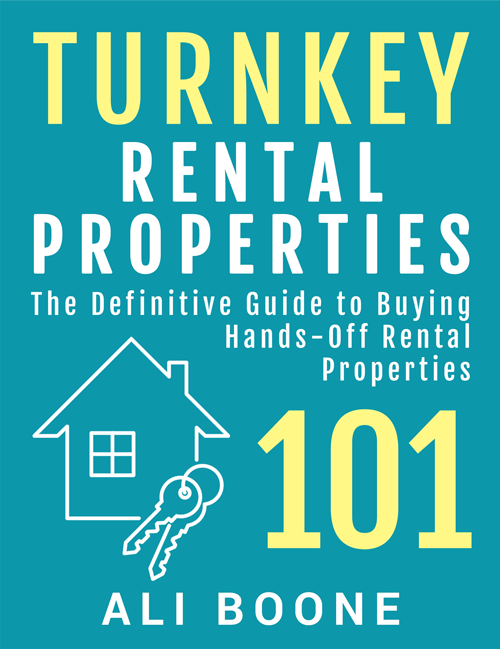 Click here to get access to the latest and best Turnkey Property Deals… for free! Great article with some excellent points! Not every home makes a good rental. I was forced to rent my condo and I was losing $1300 a month but I had a plan to turn it around. It took a few years but I was able to turn a cash flow positive. It was a crash course in real estate financials and property management! My advice is to avoid cash flow negative properties unless you have a realistic plan on how to turn it around. Sometimes you can find value that other people overlook or don’t want to deal with. Run the numbers but be realistic. The last thing you want is a negative cash flow property that weighs on your mind every month and discourages you from what can otherwise be a very profitable business.